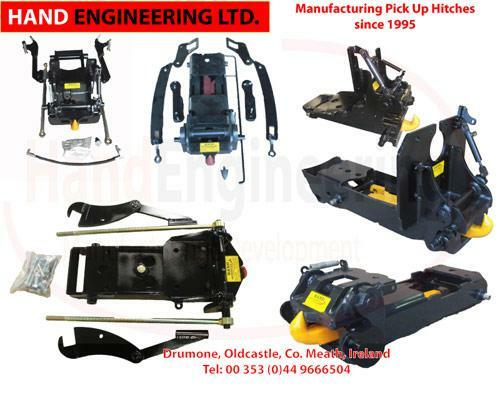 We have long since manufactured a robust drop down pick up hitch for some of these Ford models and it has proven to both reliable and strong. We have recently designed a new pick up hitch for the Ford 3000 – 5000 models. Supplied as a complete kit ready to go on the tractor. They have become an instant success! “When I saw it I had to have it.” – Quote from one customer having seen the Hand Engineering Ford 3000 Pick Up Hitch. Many Ford models are catered for and also include the 8630, 8730 and the 8830. Supplied as a complete kit ready to put on the tractor: tow hook, bolt kit, top arms and pins, lift rods, slide pipe and hydraulic release where relevant.